Home Cosplay Get your geek on at Capital Sci Fi Con! 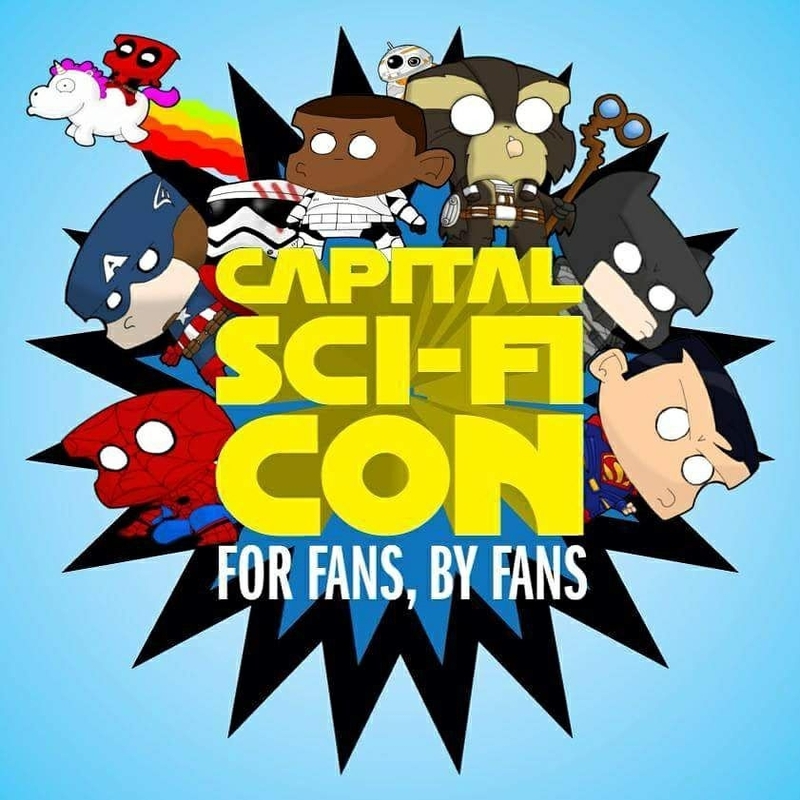 Capital Sci-Fi Con, Scotland’s top sci-fi, comic book and movie convention, will return in 2019 with an extended three-day format at the Edinburgh Corn Exchange. All profits from the event will be donated to Children’s Hospices Across Scotland (CHAS), which is the only charity in Scotland that provides hospice services for babies, children and young people with life-shortening conditions. 2018’s event attracted over 7,000 fans from around the world, raising an incredible £74,740.55 for CHAS. Highlights included appearances from Sylvester McCoy (7th Doctor/ Dr Who) and Jeremy Bulloch (Star Wars’ Boba Fett), alongside guests from Game of Thrones, Indiana Jones and Guardians of the Galaxy. Exhibitions featured items from iconic film and TV programmes such as Walking Dead, Terminator, Batman and Iron Man, with the highlight being the annual cosplay competition. 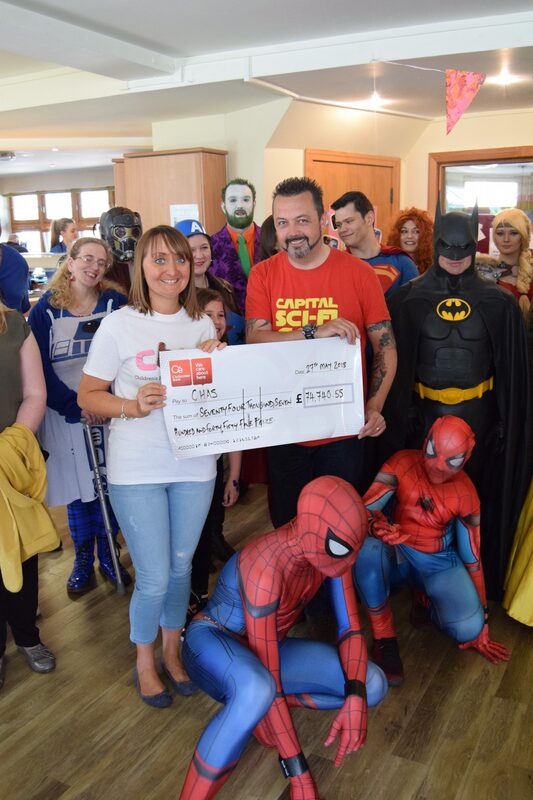 Announcing the total raised from this year’s event, Keith Armour, community superhero and Organiser of Capital Sci-Fi Con said: “Many thanks to everyone who has helped and supported the event over the last 4 years. 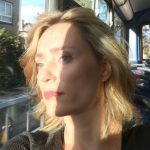 “CHAS holds a very special place in my heart and we’re delighted to bring Capital Sci-Fi Con back on 15-17 February 2019. 2018 was an overwhelming success, with fans raising over £74,000 and we’re keen to make 2019’s event bigger and better. To do this, we’re turning the event into a three day festival of all things ‘geek’! “Keith and his incredible group of supporters have now raised over £170,000 in just three years. 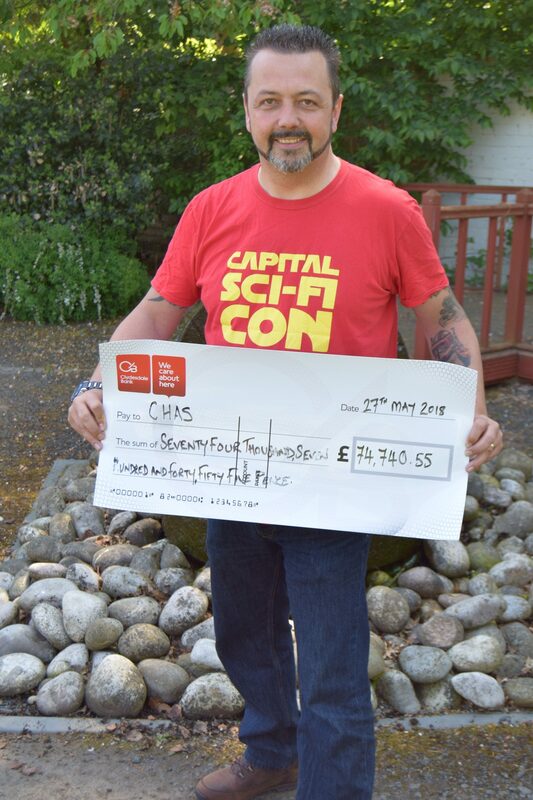 On behalf of CHAS, I want to thank them for their phenomenal achievement and we’re thrilled that Capital Sci-Fi Con will be returning in 2019. “At CHAS, we want to make sure that wherever there’s a child in Scotland with a life-shortening condition, we’re on hand to support their entire family. The vital funds raised by the conventions helps us to keep the joy alive for families facing the most difficult time imaginable by ensuring that no matter how short their time together may be, it is filled with happiness. CHAS cares for families and their babies, children and young people by offering palliative care, family respite and support at its two hospices, Rachel House and Robin House. It has a CHAS at Home team, who bring its services into families’ homes throughout the whole of Scotland, as well as teams working in communities and hospitals across the country. Tickets are on sale at www.capitalscificon.co.uk.